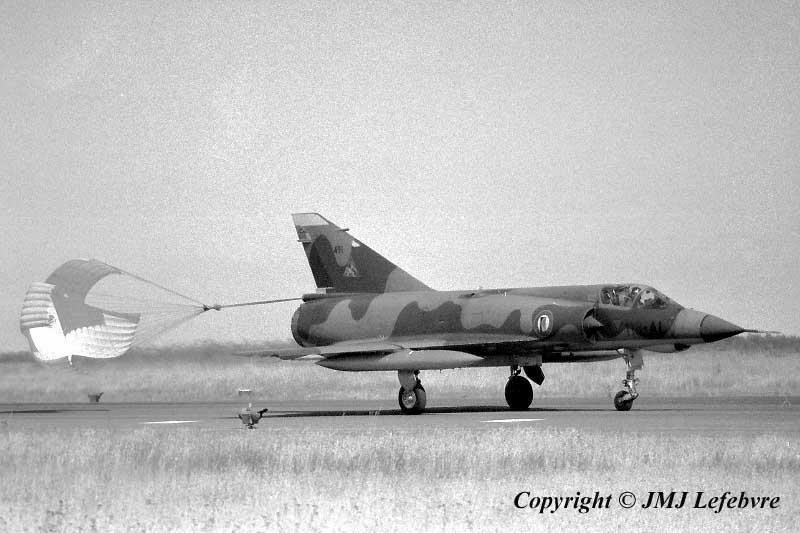 Surely not a demonstrator but a visitor, this landing Mirage III E C/n 491 was first used by CEV then at the Mont-de-Marsan based CEAM under code 118-AL, being part of Fighter Squadron EC 24/118 which was, among other tasks, in responsability to transform complete squadrons introducing a new type in Armée de l'Air. Under AA to AZ codes all types of modern materials were represented from Mirage III to, a little later, Mirage F1, Jaguar and further material introduced. The aircraft wears the CEAM insigna on fin. Later the plane was used by Colmar based 13th Fighter Wing.